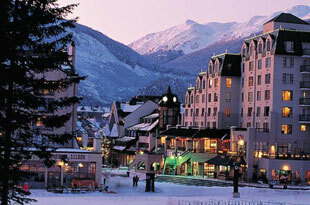 Whistler BC is a favorite holiday destination for those who wish to enjoy what nature has to offer in a grand way. It is the home of Whistler Blackcomb Ski Resort, the venue for the 2010 Winter Olympic Alpine skiing events. It offers spectacular views of mountain ranges and picture perfect parks, and boasts of a wealth of other activities one can do with its rich natural features such as white water rafting, horseback riding and mountain biking. It is not only enjoyable in winter but throughout the entire year, making it an ideal vacation place with family and friends and perfect destination for corporate events and meetings. To enhance your Whistler holiday experience, we at Whistler Mountain Transportation offer the kind of land transportation that you need. Our Whistler ground transportation system is designed to give you a stress-free travel experience, that's more than just transportation. It is an experience worth remembering along with your other Whistler holiday activities. We make sure all your traveling worries end once you meet your Chauffeur. From easily finding your experienced and friendly chauffeur to a well maintained and comfortable vehicle. We constantly monitor all inbound flights, so even if your flight gets delayed, our chauffeurs are properly informed of schedule changes and will be promptly available at your arrival. We aim to make sure your Whistler ground transfer experience is as smooth as possible from start to finish. We offer ground transportation service to and from the Vancouver International, Domestic, Float Plane and Private FBO Airports, the SeaTac Airport in Seattle, Vancouver and Seattle Cruise Ship Terminals, and BC Ferries Ferry Terminals. The instructions and designated meeting areas with our chauffeur can be seen in the Services page of our website. Whistler Transportation offers luxurious, chauffeured ground transportation and specializes in private round trip door to door transportation from anywhere in British Columbia and Seattle. Chauffeurs are available to meet you right at the airport, and are kept informed of your arrival times, including flight delays or schedule changes. You will then be taken on a Vancouver to Whistler route passing through the Sea to Sky Highway, Whistler BC limousine considered one of the most scenic roads in the world, and let you savor the sights along this route, which include ancient rainforests, mountain lakes, waterfalls, spectacular ocean views, quaint villages, and majestic mountains. With seasoned chauffeurs pointing out areas of interest, it could give you the same enjoyment as an arranged tour, and is certainly more pleasurable than any other Whistler BC transportation option. Once you board any of our Whistler ground transportation vehicles, you will truly feel that your holiday has begun. Our fleet of vehicles includes only the latest models, appointed with features that will guarantee a pleasant and luxurious ride. They have separate compartments to hold your luggage and sporting equipment leaving passengers with ample space. We have a selection of vehicles including luxury all wheel drive sedans, 4 wheel drive SUV's, Sprinter vans, traditional limousines and luxury mini buses that can comfortably accommodate anywhere from three to thirty-two persons, to match your travel needs. Whether traveling alone, with a small, intimate group or a large party, we have the perfect selection of vehicles that will let you travel in ease and luxury. Our Vancouver to Whistler routes will take you along Hwy 99 also know as the Sky to Sea highway, considered one of the top 10 most beautiful roads in the world. It takes you through spectacular scenery, including rainforests, a dormant Volcano, ancient glaciers and lava flows, mountain lakes and waterfalls. It is a luxurious traveling experience meant to start you off on a memorable holiday, and return you to the airport stress-free when it is time to leave. Our Chauffeurs aren't just experienced professional drivers. Many are also first class tour guides. Interested in a full day tour of Whistler and the Sea to Sky Corridor, or Vancouver? No problem. Just let us know when you make the reservation and we will customize a day to suit your interests. We operate 24 hours a day. We are happy to accommodate special requests, including providing infant, child, and booster seats on request, giving you flexibility with the schedule and other arrangements. Quickly and easily book your travel through our secure online booking engine. Or call us at +1-604-685-5033. Booking for our services may be done securely online or by phone. Book now and get full value from our end to end services. We guarantee easy and luxurious ground travel that will keep your holiday pleasant and relaxing.